A decoupling membrane or mat is an effective way of achieving reliable results when fixing tiles or other hard flooring materials such as stone, slate and marble onto subfloors that are unstable in the horizontal plane. 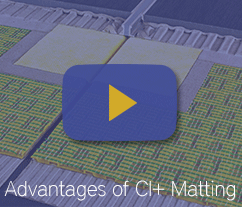 CI+ Matting performs as a stress-alleviating intermediate layer keeping tiled surfaces permanently free of cracks by absorbing shear stresses through its Triple-Layer Mat Structure. Ideal for freshly laid mineral subfloors, system floors, outdoor flooring, large-format tiles and problematic subfloors.